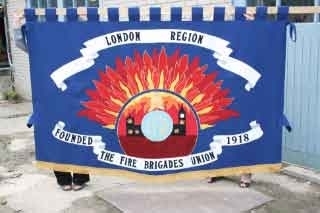 The FBU is calling on members and supporters to attend a protest against cuts in the London Fire Brigade. The protest will coincide with a session of Mayor’s Question Time from 9.30am on Wednesday 11 September at City Hall (near Tower Bridge). This follows the decision by Boris Johnson to over-rule the fire authority and push ahead with the proposed closure of 10 fire stations, the removal of 14 engines and the slashing of 588 firefighter posts in the capital. However, despite Johnson’s actions, the battle is not over. There are question marks over the legality of the mayor’s decision, with several local councils indicating that they will pursue a challenge through the courts. Community campaigns are also continuing around the threatened stations. We urge everyone to attend this important protest. Those attending will be entitled to head into the chamber after the protest to watch proceedings. 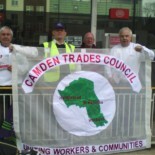 This entry was posted on August 22, 2013 by CAMDEN TRADES COUNCIL.